Regarded as one of the fastest growing of all medical procedures, LASIK has eliminated the need for contacts and glasses for more than 12 million Americans since the LASIK technique was granted FDA approval in the late 1990’s. With laser vision correction, a laser is used to correct the shape of your cornea so that you are able to focus clearly, without the dependency on glasses or contacts. Since then, the technology has exceeded advancement expectations. Even with extraordinary technology, the success of your LASIK procedure depends upon the skill, commitment and experience of your surgeon. LASIK surgery is performed in the United States approximately 700,000 times per year, according to American Academy of Ophthalmology. The procedure has undergone dramatic advances since it was first introduced in 1998. People with many types of vision impairment can now benefit from LASIK surgery, including those with astigmatism. LASIK restores vision in most patients to the degree that their dependence on glasses or contact lenses is greatly reduced. LASIK patients report a 95.4% satisfaction rate with 98% of Wavefront LASIK patients achieving 20/20 vision, according to DocShop. At Atlantis Eyecare in Orange County, residents have easy access to this life changing surgery at several convenient locations. Our top tier ophthalmologists and support staff have a stellar record of providing safe effective LASIK surgery to thousands of people each year. 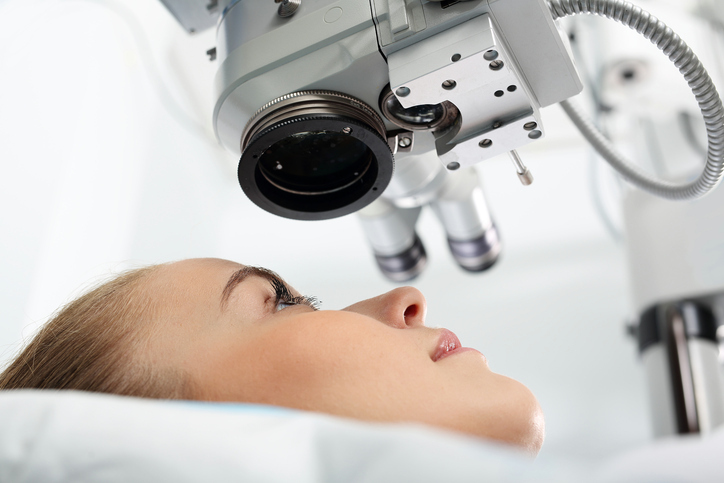 Check out exactly how LASIK works here. 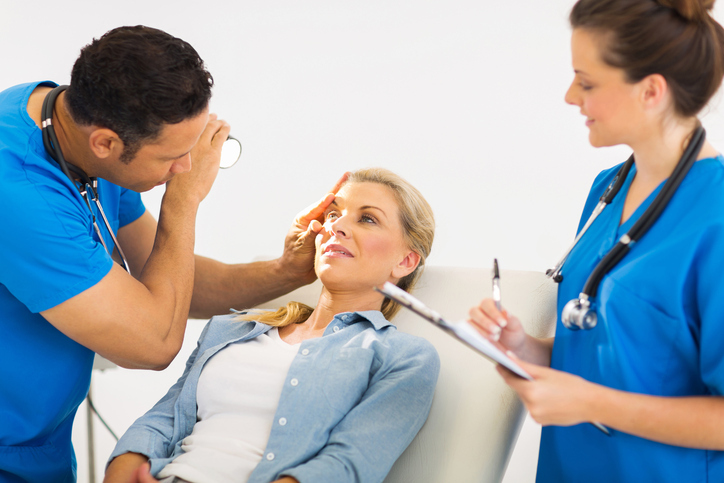 The first step of LASIK surgery is to have a thorough eye exam at which time a full health history is taken. The degree of refractive error is measured to determine how much correction is needed. The eye doctor also evaluates the thickness of the cornea, the shape of the eye and the size of the pupil. The moisture in the eyes is also measured to evaluate if there is a risk dry eyes developing following LASIK surgery. Certain kinds of eye conditions rule out LASIK such as glaucoma, diabetic retinopathy and macular degeneration. In these cases, alternative treatments such as PRK and refractive lens exchange will be discussed. These alternative treatments are available in our Los Angeles clinics. Once patients have been screened and given the OK for surgery, a detailed map of the eyes is made so that the degree of correction can be programmed into the equipment. Refractive errors are caused by irregularities in the shape of the cornea. This causes images to be focused either in front of, or behind the retina. Once the cornea has been reshaped to correctly focus light entering the eye, vision is greatly improved in terms of sharpness of focus and the ability to see detail without corrective lenses. Custom LASIK surgery uses Wavefront imaging technology to make an even more detailed map of the eye. This technology allows surgeons to detect and treat disorders which could not be detected prior to the development of Wavefront imaging. When this information is entered into the computer the degree of correction is more precise often resulting in 20/20 vision. Take our LASIK Self Evaluation Survey here. On the day of surgery, patients are introduced to their treatment team at whichever of our Orange County & Los Angeles centers and made comfortable. Anesthetic drops are administered to numb the surface of the eye. The head is stabilized to prevent motion and a comfortable speculum is fitted to the eyelid to prevent blinking. During the first phase, a flap is created on the cornea to provide access for the laser. The flap is left attached to the eye by a small section so it can be folded back and smoothed into place after the surgery. No sutures are needed as the eye heals very quickly. Reshaping the cornea is the shortest part of the surgery and usually done in just a few minutes. During the reshaping process, you may feel pressure as the laser works. The laser progresses according to the prescription the ophthalmologist has programmed into the computer. It is key, when considering this procedure, that you are confident in your surgery being done properly and to excellent results. 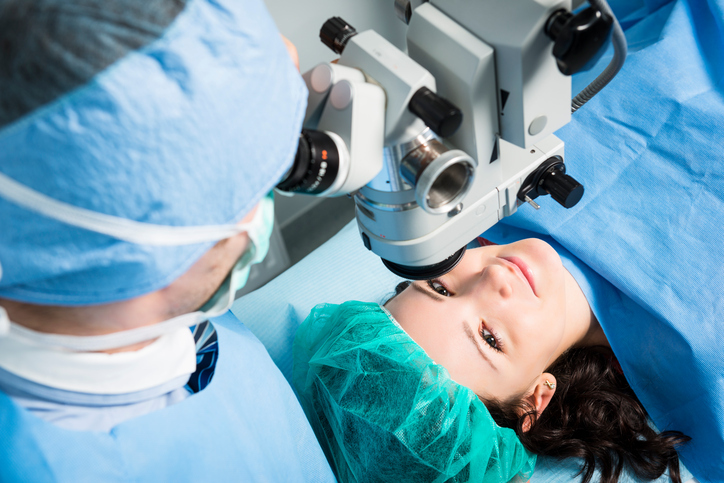 At Atlantis Eyecare we are known for providing among the top LASIK surgery. When you come to us you can be comfortable in the knowledge that you are in some of the best hands possible to get the results you want. Once surgery is completed, you will rest for a while and then receive an examination from your doctor prior to being released. You will need to be driven home. Once home, you may experience some blurring, but this will quickly resolve over the next few days. If possible, it is recommended that you rest your eyes for the first few days to assist with healing. You will come in the next day for a checkup and a test to ensure you are legal to drive without your glasses or contacts. If not, your vision will stabilize within a few days. Recovery consists of applying the drops you have been prescribed and taking care not to rub or irritate your eyes. Strenuous exercise should be avoided for a few weeks to keep your blood pressure stable. This helps with healing. You may find your sight fluctuates during the day. This will resolve as your eyes fully heal. 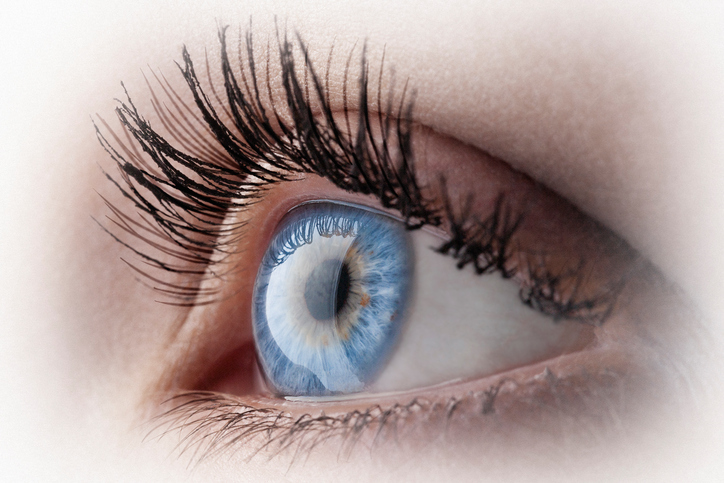 LASIK surgery enjoys a very high level of patient satisfaction from our patients. Orange County has a number of Atlantis Eyecare clinics delivering this life changing procedure to thousands of patients each year. 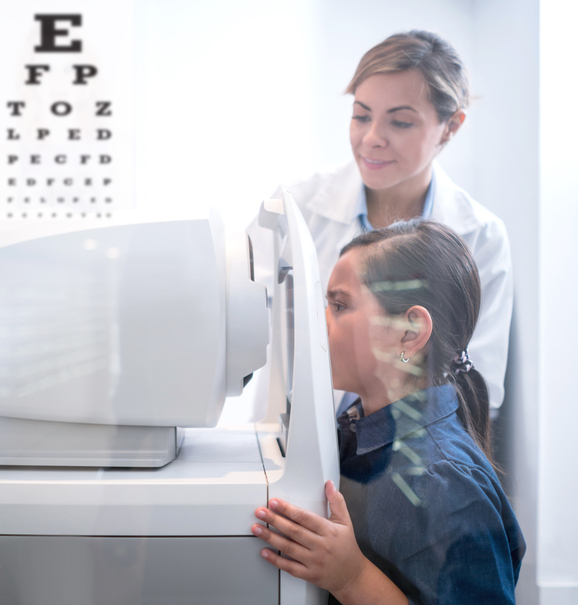 Atlantis Eyecare’s doctors are committed to your individual results – and these results are dependent upon the surgeon that you choose for your procedure. Our doctors at Atlantis Eyecare are highly trained and have performed over 30,000 laser vision correction and LASIK surgeries over the past 20 years. During our free consultation, they will take the time to find out what is important to you and how it pertains to your vision, with the ultimate goal of providing you with among the best LASIK surgery we can. Your eyes are the only ones you have – and we expect you to be fully educated before considering any procedure involving your eyesight. 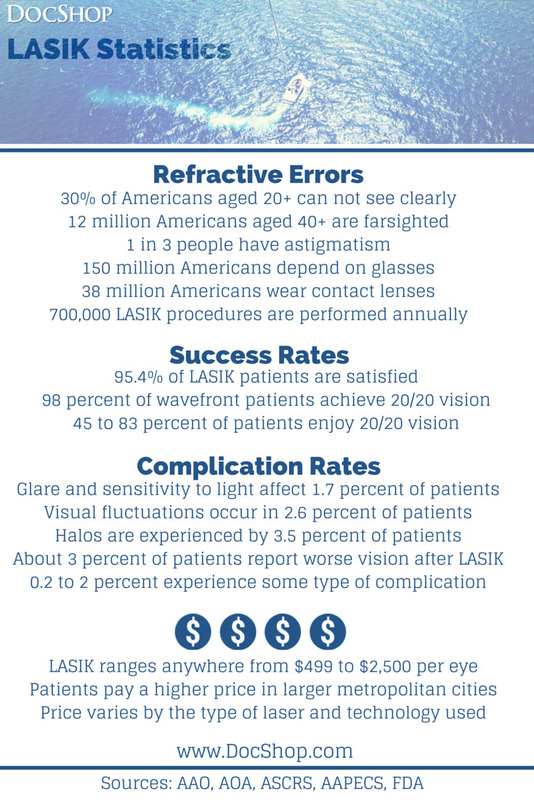 Please take some time to review the different procedures, take our self evaluation to see if you would be a candidate, and even request your free copy our LASIK visual guide. If you're interested in receiving LASIK in Orange County and want to learn more, please feel free to utilize the information we have here, including our Free LASIK Info Guide. Check out our LASIK FAQ here for more information regarding our LASIK procedures.